What is the Legal Term for a Voluntary Statement Made Under Oath? – Thompson & Thompson, P.C. What is the Legal Term for a Voluntary Statement Made Under Oath? Thompson & Thompson, P.C. provides zealous legal representation for our clients in Hampden County, Hampshire County, Franklin County, Suffolk County and surrounding areas. 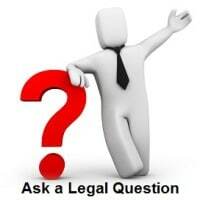 We feature our Legal Trivea Questions to help you better understand our Legal System. An affidavit is statement of facts which is sworn to (or affirmed) before an officer who has authority to administer an oath (e.g. a notary public). The person making the signed statement (affiant) takes an oath that the contents are, to the best of their knowledge, true. It is also signed by a notary or some other judicial officer that can administer oaths, affirming that the person signing the affidavit was under oath when doing so. These documents are valuable to presenting evidence in court when a witness is unavailable to testify in person. Affidavits may preserve the testimony of persons who are unable to appear in court due to illness, incarceration, moving out-of-state, death, etc. Judges frequently accept an affidavit instead of the testimony of the witness and are used in place of live testimony in many circumstances (for example, when a motion is filed, a supporting affidavit may be filed with it). https://ttpclaw.com/wp-content/uploads/LawQuestion200.jpg 200 200 Lauran Thompson https://ttpclaw.com/wp-content/uploads/TntLogo.340x180.png Lauran Thompson2013-05-10 14:13:232017-01-05 11:44:53What is the Legal Term for a Voluntary Statement Made Under Oath? 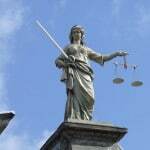 Attorneys Who Specialize in Criminal Defense • Criminal Appeals • Post Conviction Litigation. You should consult an attorney for advice regarding your individual situation. We invite you to contact us and welcome your calls, letters and electronic mail. Contacting us does not create an attorney-client relationship. Click on the "I'm not a robot box" and let us know you're human. Then hit the "Send Message" button. If you or a loved one is facing criminal charges or is being held in jail, contact us for help. A bad defense can result in lifelong loss of income, jail time, family crisis and tremendous stress. You need an experienced and dedicated defense attorney who works for you. What is the Longest Criminal Trial in U.S. History? What is the legal question today?